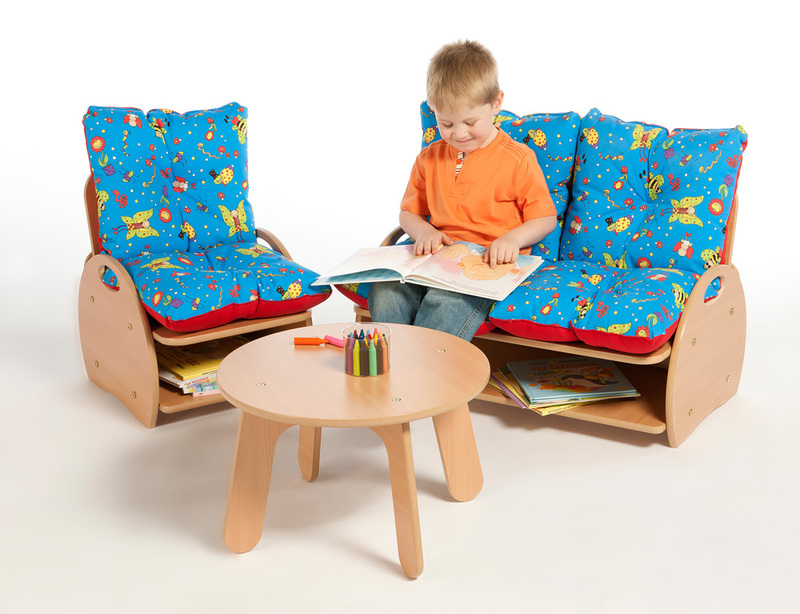 The early years two seat sofa is manufactured in the UK using sustainably sourced, high quality beech melamine board that is durable and easy to wipe clean. 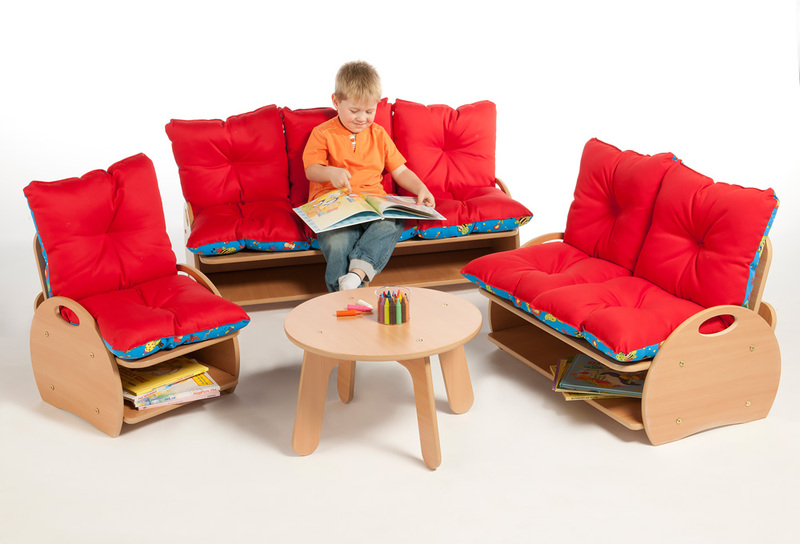 All edges are rounded and protected with a child-friendly, water-based lacquer that helps the sofa to retain its natural wood appearance. Simple assembly is required using the supplied Allen key. 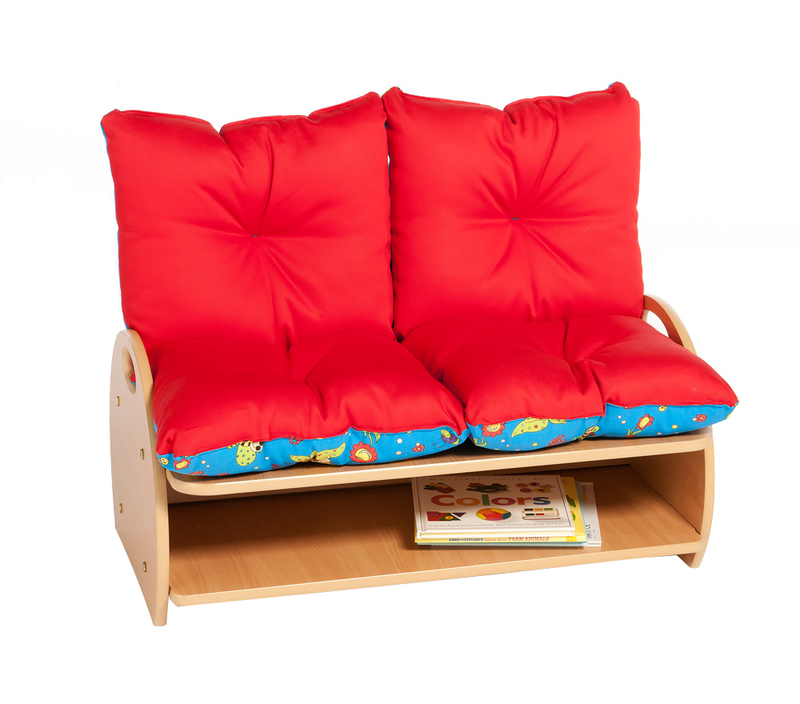 Removable and reversible cushions are included with the sofa and feature a blue patterned side as well as a plain red side. 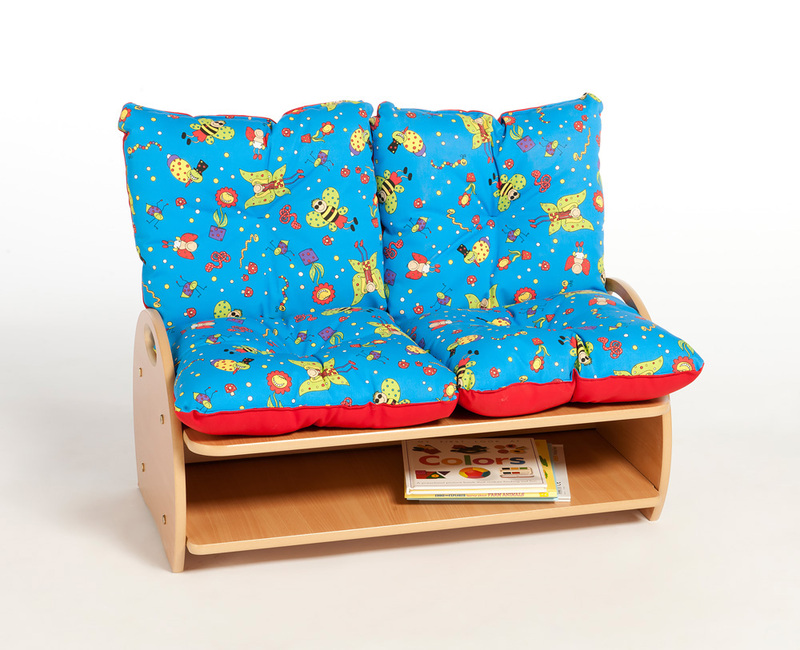 Please note: the books featured in the product images are not included with any of the soft seating range. Please Contact Us or alternatively call for more details on 01733 511121.